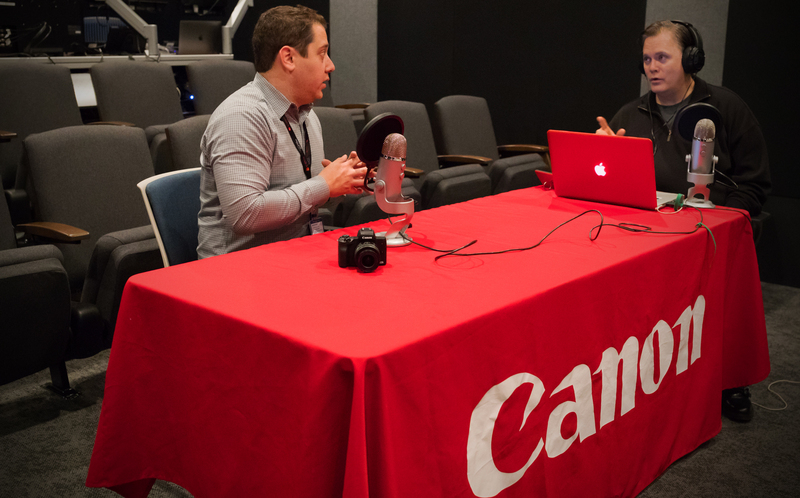 Clint Milby sits down with Alex Sax, Pro-Market Specialist at Canon, to discuss their newest array of products heading to NAB, the legacy of the late Chuck Westfall and more. Recorded live from their 4K laser projected theater inside Canon Burbank, Clint and Alex also spend time on the facility itself. Canon Burbank is a great place for shooters to visit to see Canon’s latest gear, as well as have their own serviced should they need it. There’s always someone on hand to answer questions and make suggestions on Canon equipment, and it really is a must visit for anyone in the Los Angeles area. We interviewed Chuck Westfall annually at NAB so much so, he remarked, “This is becoming a tradition!”. Of particular note, Clint shares his thoughts on the late, great Chuck Westfall. A member of the Canon family for over 30 years, Westfall was instrumental in the development of the EOS line of Canon cameras and was always known for his brilliance, professionalism and dedication to the world of image capture, in all its forms. He always treated us here at INDIE Shooter (formerly HDSLR Shooter) with the utmost respect and attention from our very first interview to our very last, something that was especially rewarding during our first years covering NAB. A visionary and a gentleman, he will be missed by all of us here at INDIE Shooter. For more information on all things Canon, go to www.USA.Canon.com, and for those attending NAB this year be sure to visit them in Central Hall at booth #C4325.